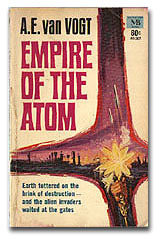 The Year of the Bomb gave science fiction many jitters, premonitions, "i-have-a-bad-feeling-about-this" apocalyptic (and sometimes rather apoplectic) books, and this collection is one of the more respectable of the bunch. 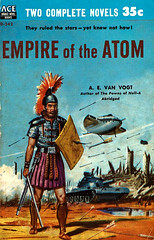 First, it appeared entirely in "Astounding" in 1946 and soon got reprinted in hardcover (a rare honor in those years), written by Van Vogt in his most productive period, and contains most (if not all) concerns and ideas associated with the newly-found destructive power of the atom. 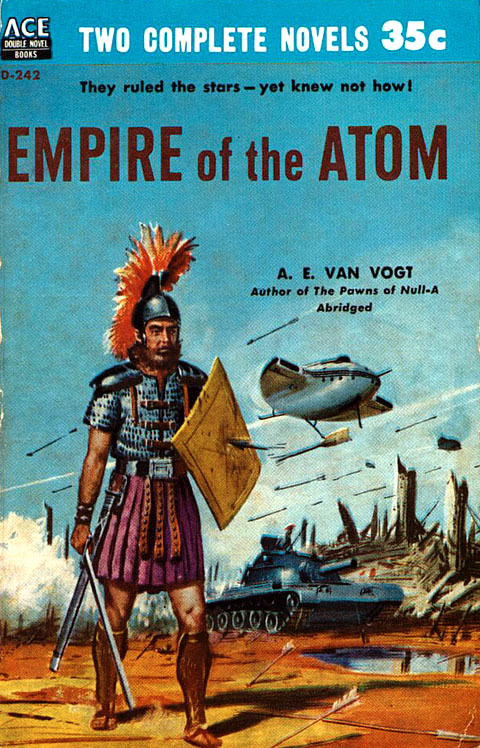 That said, it is one of the most bland and boring efforts of Van Vogt. I found it mostly predictable and unexciting, although it is still very readable due to patented Van Vogt's technique of "surprise or plot twist in every third paragraph", albeit in a very conventional setting. A mutant child escapes being killed at birth and grows up to be a scheming leader and defender of Earth against alien barbarians. 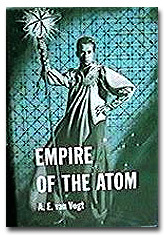 One interesting note: the book describes the Temple of the Atom in the new post-apocalyptic Empire, and the order of "nuclear-science" priests. 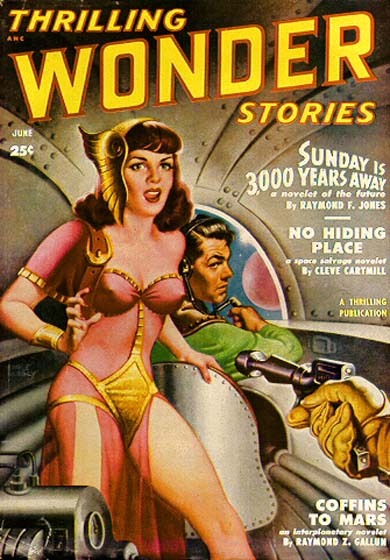 This obviously pleased John Campbell (editor of "Astounding") as a "scientology" supporter.